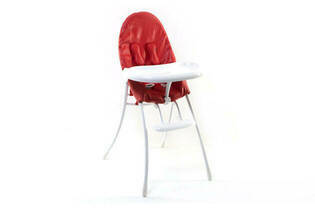 Snapshot: The Bloom Nano Urban highchair is foldable, but its seat height isn’t adjustable. Is it safe and easy to use? Tray is easy to clean. Very minor safety failures: the harness isn’t permanently attached to the seat at all the right points (waist, shoulder and crotch) and the buckle includes a quick-release mechanism (one front button to release the buckle). Harness and padded seat are hard to clean. Our safety tests are based on the Australian Standard for high chairs, AS 4684:2009. This standard also calls for compliance with at least 1 of the international standards, so we refer to the European Standard EN 14988. In New Zealand, these standards are voluntary, but we recommend choosing a high chair that complies with these standards. Whether there is a risk of finger pinching or entrapment for the child or an adult folding and unfolding the chair. Whether there are sharp edges, points or burrs. Gaps and/or holes that could trap a finger, or any small parts that could be a choking hazard. Whether the chair comes with a five-point harness, back and side protection as well as locking mechanisms to stop the child falling out. We also look at how easy the chair is to clean. We apply Weetbix and milk, spaghetti and tomato sauce and baby food to different areas of the chair (the tray, seat back and padding, as well as the harness). We then let it dry overnight and rate ease of cleaning for each of these areas on a scale from “very easy” (residue is easily removed using a kitchen cloth) to “very hard” (needs thorough scrubbing or washing). This is then converted to a score. The overall score consists of 70% performance and 30% ease of cleaning. We also note how easy it is to assemble and operate the high chair. Highchairs tested since 2016 have an “ease of use” score but it doesn’t contribute to the overall score.